Have a great grasp of the latest buzzwords like “gospel-centered”, “missional”, etc. Buy only Apple computers instead of those pesky, affordable but not-so-cool PC’s. Be on Twitter, Facebook and other social networks. Spends time in the Scriptures not just for his next sermon but for his soul – for growing in sound doctrine and a deeper love for the gospel (2 Tim. 4:14-15). Like Charles Spurgeon said, you cut him and he bleeds the Bible. I mention these characteristics because even pastors can get duped. Seeking to be culturally relevant, they can far too easily make being cool an idol. And while trendiness isn’t a sin (I intentionally used “hip” characteristics that mostly describe me), a preoccupation with trendiness is – giving too much weight to the wrong things. When we spend more time on the first list than the second, that’s when we’re in trouble. It’s also why it’s good to periodically remind ourselves what God calls his under-shepherds to do. And while you won’t find tips from God’s Word on the right haircut to get, the right songs to put on your iPod or even the right guys to quote. You will find the right qualities to pursue. 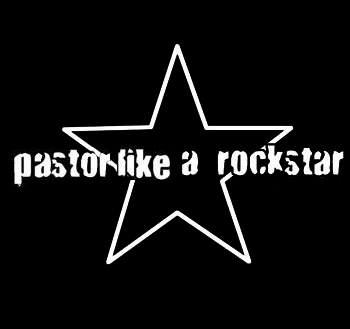 And as you do, you may not be a rock star, you’ll be something much better…a pastor. 15 responses to A Good Pastor Is…? Of all that you’ve written, the one most convicting to me is the last. Too often I’ve found myself leading small group or teaching PeeWees without having spent a moment talking to God about it and that is unfortunate. It’s not like the content of what I was teaching was wrong or that it wasn’t presented well, but I know that it lacked the effectiveness of other lessons I’ve taught that were supported by time spent in prayer and Bible based preparation, which affords me the chance to be led by the Holy Spirit. Yancey, thanks for writing this. I love what you say here. It’s a pet peeve of mine. I see it mostly with youth pastors, but it’s creeped up into the main pulpit of so many churches. I see it all over though. It seems that everybody wants to be “Forever 21.” It’s not easy growing old, and it’s even harder to grow up and old gracefully. May you enjoy being the things on both lists! Yancey, so appreciated your thoughtful words here. I have never been hip, so that makes it easier for me not to try, and just trust that God will use my authenticity if I offer it. One reflection: I know you quote more than “guys”, as you put it, since I see you’re reading Flannery! Yancey I am so bless by your encouragement to pastors,I know that those words really did come from the mouth of the Lord,I had to repent while reading your words of wisdom,I will truly spend more time before the Lord,and put aside my busy schedule, thank you,keep doing what the Lord has called you to do. Yancey i’m so much blessed by the teaching, God bless you real good. Yancey,God bless and replinish you real good .we should also look at the angle from were we are taking our oil,mantle etc. Because a source or channel is important.e.g you cannot take oil(mantle)from a liar as a mentor without finding yourself lying also beware of the weakness in you at the point you are collecting that oil because oil will magnify anything it find in you.or what do you think? Dear Yancey…The message is very much helpful to me. Its very much matched to my thoughts, to teach my pastors on 29th Dec. 2011. May God give you more knowledge in bringing the divine thoughts for His people. This is absolutely wonderful. Thanks for posting this!!! and now this time I am visiting this web site and reading very informative posts at this time. angles. Its like men and women are not involved unless it is something to do with Lady gaga! up was once good. I don’t recognize who you are but definitely you’re going to a famous blogger if you aren’t already.